At Swept Away our main focus is to make managing commercial property less stressful for the managers in the field. 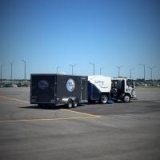 We do this by being a full service sweeping and maintenance company that offers power sweeping, porter services and general commercial property maintenance for shopping centers and building owners alike. 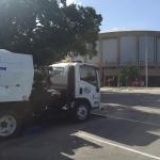 A regularly-scheduled sweeping program for your parking areas and entrances will not only present an attractive, clean appearance for your property — it will also prolong the life of your pavement and striping. At Swept Away we provide a professional, uniformed team, as well as the equipment best suited for your particular requirements. 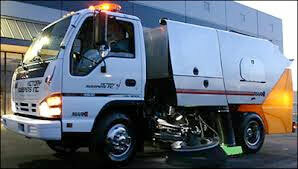 Swept Away's day porter services are important to our clients that have a high volume of customers. 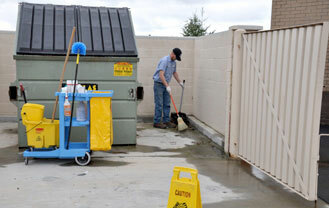 They choose to have one or more of our uniformed “day porter” staff handle the many daily cleaning tasks that are so important for maintaining the perfect curb appeal that quality establishments deserve — and that their customers appreciate. concern at your location. When such items are found, chances are that other divisions of Swept Away can fix them for you, cost-effectively and quickly. Let us know how we might be of service to you, in keeping your property looking its best. Our services are flexible and can be tailored to work within your budget and scheduling. You will find that our courteous and professional service team will be there to assist you whatever your needs or concerns might be, whenever you need the services performed. So, whether it is for an emergency, on-the-spot request or an ongoing scheduled maintenance, you can count on the professionals at Swept Away Property Maintenance Inc. to get your job done right. Give us a call today, toll free, at 1-800-283-6855 to get all the details and to arrange for a free personal evaluation of your needs. You may also see many more details at our website, www.SweptAwayFL.com.